SSF Test Version (2018/12/17) is released. 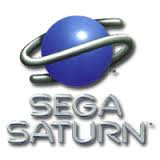 SSF is a Sega Saturn emulator for Windows systems using DirectX 9.0b. The current version claims near-complete implementation of the Sega Saturn hardware (not counting emulation bugs), and can emulate the Saturn based Sega Titan Video arcade hardware too. As with most emulators, CDs or disc images are not included and have to be owned separately. The BIOS is also not included; as of 0.07 Beta R3, games run without the BIOS however. The usage of BIOS files is optional but recommended for better compatibility, and needed for tasks such as management of the contents of the internal memory of the Sega Saturn, or setting the system clock. When you will include cd imagen reader on emulator? Please change 【CD drive】 setting to the virtual drive side. In addition, the next day (2018/1218), the version of data cartridge ROM has been modified to correct it. Got no image with SSF_012_beta_R3 after recent Win 10 update, found this and works perfect. Nice one.